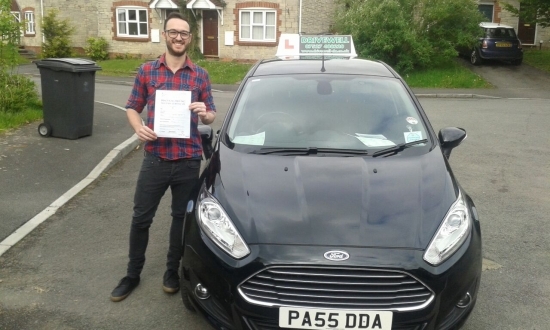 Daniel Brown - a proud recent Father chuffed to be holding his Pass Certificate after passing his test first time today. It was a challenge combining lessons with work, a new arrival and the sleepless nights. Daniel had an almost faultless drive with only one driver fault. Congratulations and well done again. Hope to see you on the road. Salvina 15th May 2015.